I once told a friend that I didn’t like to sleep. Don’t get me wrong, I end up really grateful after taking an awesome nap or getting the rest needed to properly function the next day. But given the choice of getting a good night’s sleep or staying up all night dancing, talking, reading, whatever, I will always choose the latter. I’m a night owl; I like to go out, and I’m the most energetic during the really late hours. The only downside (in my opinion) to that is the number it does to my skin. While I can usually keep my acne under control by masking three times a week and keeping a beauty arsenal of salicylic acid-filled spot treatments handy at all times, the bags under my eyes were a battle that always beat me. I’ve tried hundreds of eye creams and gel patches to help reduce the puffiness—nothing seemed to really help. That is until I tried this new eye gel from Dr. Brandt. 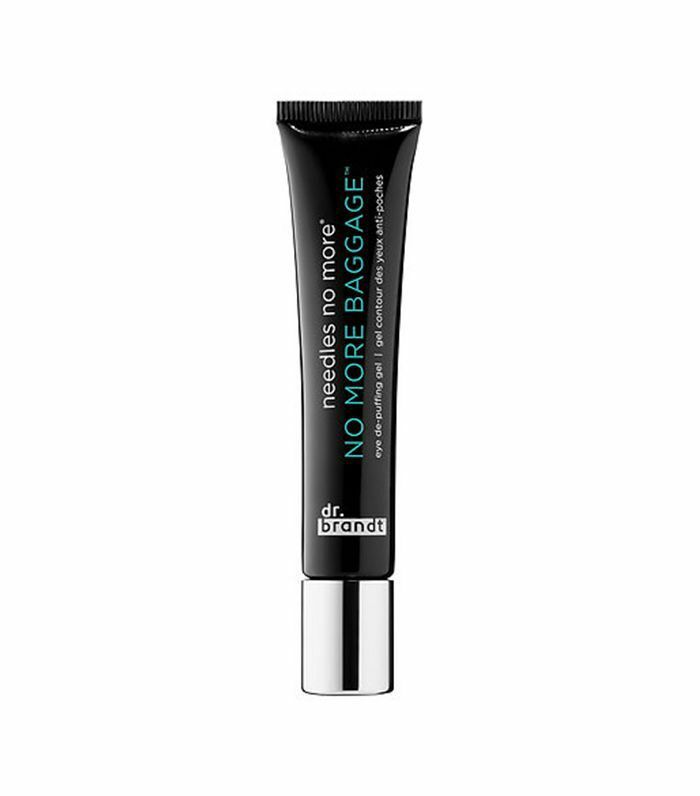 The Dr. Brandt No More Needles No More Baggage Eye De-Puffing Gel contains a Filmatrix technology, which is made of algae and plant extracts, that tightens the skin around the eye. It also contains peptides that help restore the skin’s elasticity and firmness and a mixture of botanical extracts and caffeine to reduce puffiness and the appearance of dark circles. I’m not kidding when I say I don’t look tired anymore. The skin around my eyes felt tighter after one week’s use, and more importantly, stayed tight long after. I squeeze out a small amount, which comes out orange and goes on transparent when applied on the skin, and place three tiny dots under each eye. Then I blend it in, focusing on the under-eye area, and use any excess gel on the corners of my eyes and on my lids. I use it twice a day for the best results. Now, if people were to just look at my face, they wouldn't be able to tell if I’ve been up all night or not. So with that problem taken care of, I guess us night people are just waiting for someone to find the cure-all for feeling tired. But for now, at least we can fake it. Next up, check out what might be the best cleanser ever.